The ride on the 650 in the rough is exceptional, soft, dry and safe. This late 2016 example has always been looked after and had the premium spec up with Yamaha 200hp 4 stroke, Raymarine 9 inch screen, VHF radio, Fusion stereo, SEADECK flooring, all safety gear inc EPIRB and has been very well maintained. Don't miss out! Comes with a tandel axel trailer and a full boat cover. The BRIG name represents quality, performance and value! Note: These pics were taken 18 months ago, but the boat has been kept the same, with protection cover always on. 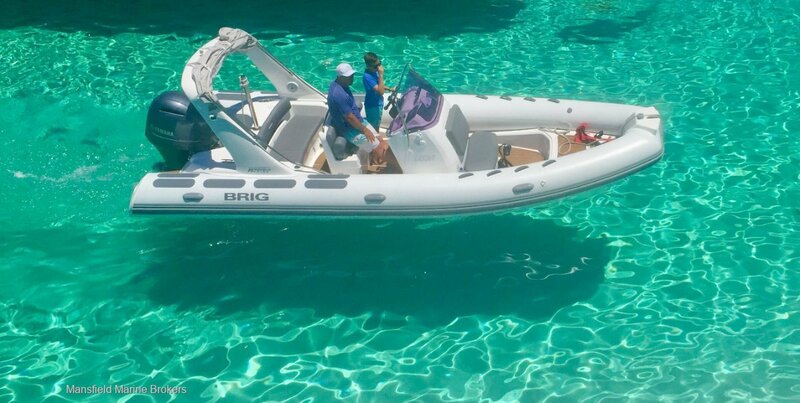 Has a black bimini canvas top now (new from Brig). Contact Travis Mansfield from Mansfield Marin Brokers to arrange an inspection of this boat.